Pendragon Tours is a tour company established in 2010, which offers fascinating tours through Ireland for tourists from Europe, Asia, Australia and North and South America. We specialize in private tours for individual clients and for small groups. We also organize sightseeing and thematic tours for bigger groups. We are experienced in providing tour guiding services for coach tours of Ireland. 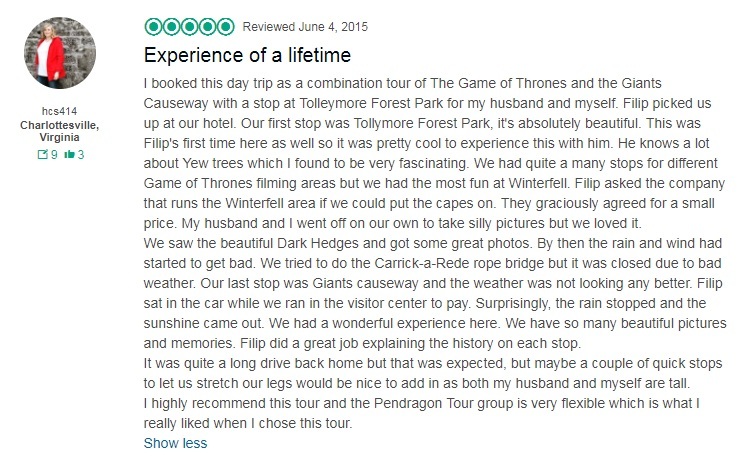 Pendragon Tours will take you to the most interesting places of Ireland, both the famous ones and the ones that can’t be found in any guidebook. We offer day, several day and longer tours according to individual needs, age or season and most of all according to the interests and expectations of our clients. We are also experienced in fulfilling untypical orders and in organizing thematic tours. 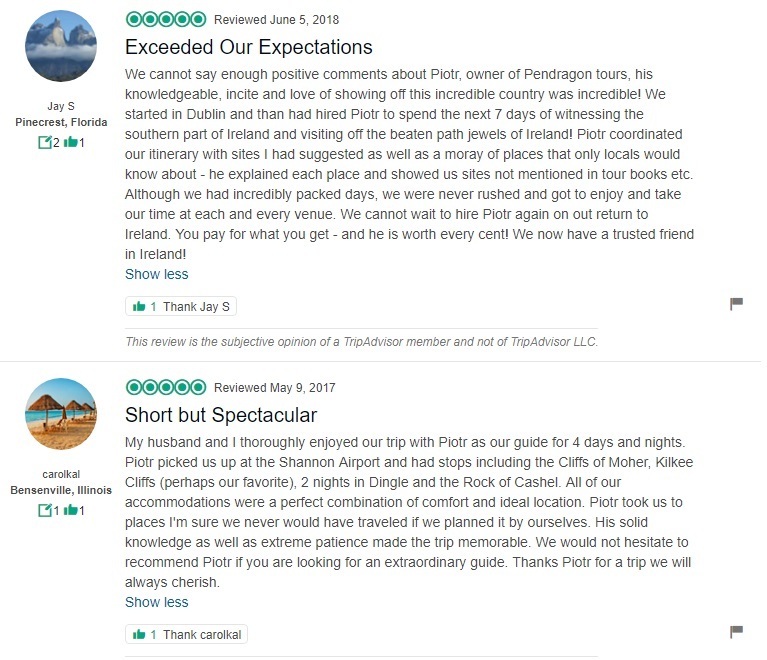 We encourage you to check our offer and the opinions of those who have already lived through their Irish adventure with us. Piotr Sobocinski (49) is a founder and owner of Pendragon Tours. His passion is guiding tourists around Ireland, telling stories about its history, people and customs, visiting hidden gems of Irish nature, finding treasures of the history written in stone monuments. 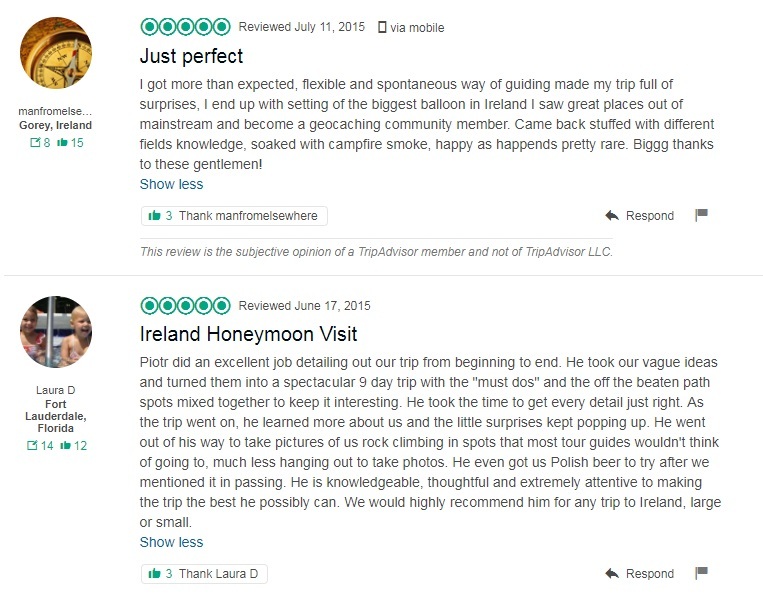 Piotr was born in Poland and he came back to Ireland in 2007 to find his Irish roots.